In blender, place all ingredients except ice. Cover; blend on medium speed 10 seconds. Add ice. Cover; blend on high speed 30 seconds or until smooth. Divide mixture evenly among 4 glasses. Serve immediately. 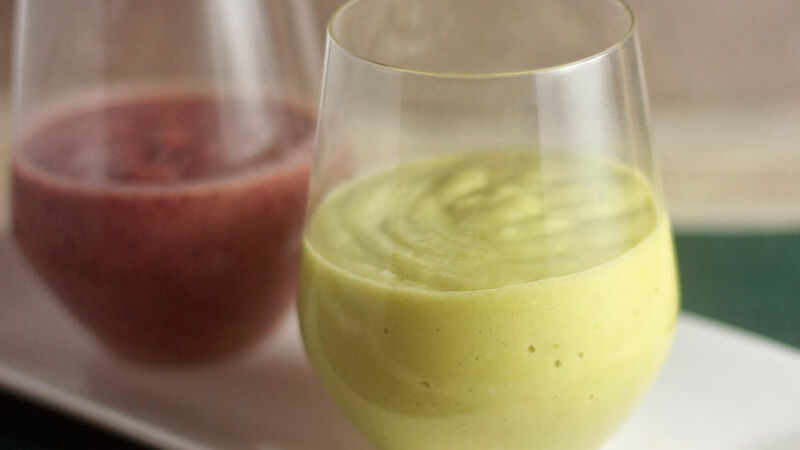 Avocado will oxidize and turn brown quickly, so this smoothie is best when served immediately. This smoothie is also a great base for other flavors. For a berry version, omit the banana and pineapple and blend in 1 cup of organic frozen harvest berries. Blogger Lauren Keating of Healthy-Delicious shares a smoothie recipe with a surprising ingredient.